, he was instantly intrigued. 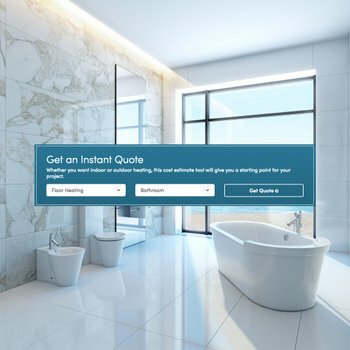 However, Nelson was committed to maintaining a perfect reputation among his clients and that required being 100 percent confident about every product he recommended, so instead of trying the first installation in a client’s home, he chose to install it in his own home. This way, he could experience the installation and how the product worked firsthand. When he installed the first floor in his master bathroom, he was immediately impressed and began planning to add it to all of his homes as that statement piece he was looking for to set him apart. The systems go in very quickly now, as Nelson has developed a system that works effectively for him. Most of Nelson’s projects are tile floors installed over cement board. “In a typical install, I will fasten the subfloor along the joist to eliminate any excess movement and then sand the top to get a clean surface,” Nelson describes. He uses latex primer before troweling thin-set for the cement board to set in. After screwing down the cement board and taping the seams, the floor is ready for the heating element. Nelson lays out the floor and dry fits the element in order to make sure he is happy with the coverage and how the wires will run. The blueprint shown was for a bathroom finished with tile. Nelson installed a heated floor in the bath and accompanying attached closet, as well as a beautiful custom shower that the client designed. 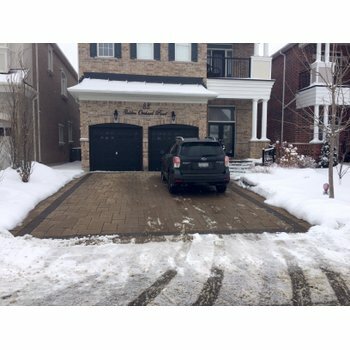 The project, despite its unique design, went smoothly and ended with another impressed, happy client. “She and her guests just love the floor!” Nelson shares. Today Nelson still gets 100 percent of his business from referrals. “I don’t have a website or a Facebook page,” he says. “I don’t even have a phone number on my truck. All my jobs come from that moment when friends and family walk into a remodel I’ve done and want it done in their own homes. “I basically don't exist unless you happen to know one of my customers,” he continues. “I know that is very atypical, but it has worked for me. I have been in business now for 10 years doing only referral work, and the WarmlyYours floors are part of creating that positive impression that carries forward to new jobs. How are you creating projects that “wow” your clients with WarmlyYours products? Share your story, send us photos on the WarmlyYours Facebook page, or tweet us at @WarmlyYours. 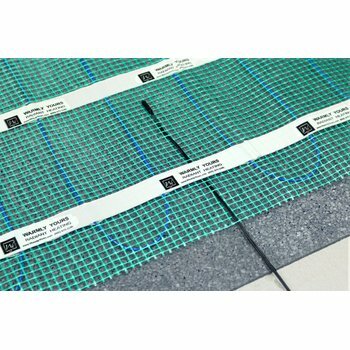 Previous Post How much does radiant floor heating cost in a large bedroom?